Predictive analytics extracts information from data sets in order to discover complex relationships, recognize unknown patterns, forecasting actual trends, find associations, etc. This allows us to anticipate the future and make the right decisions. The applications of predictive analytics in business intelligence are uncountable. Customer segmentation is the practice of dividing a customer base into groups of individuals that are similar in specific ways relevant to marketing, such as age, gender, interests and spending habits. It enables companies to accurately target tailored marketing messages to customers who are most likely to buy their products. 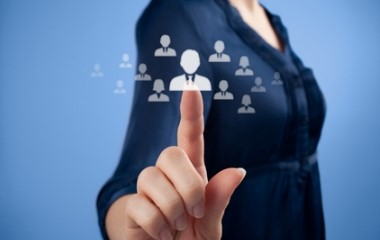 It has been proved that predictive analytics can identify potential customers much better than traditional techniques. An example here is related with direct marketing campaigns (phone calls) of a banking institution. The goal is to predict if the client will subscribe a term deposit. Attributes include information related to the client, the company, the product, the contact or the socio-economic context. The advantages for the bank here are: a better communication with the customer, a considerable saving of money in marketing and a great increase of profitability. Risk Assessment allows users to analyse possible problems associated with a given business. The goal for data mining here is to build decision support systems that can accurately predict which are the profitable operations for a company and which are not. An example in the banking sector is to determine which customers will take over a credit. Here we use different types of information in order to select if an applicant is adequate to receive a credit. More specifically, we assess the probability that a given customer does not pay a loan, therefore mitigating the impact of default risk. The data set used in this study contains multiple personal and financial factors of a customer, which are listed next. The next table lists the binary classification tests for this application. As we can see, the accuracy of the predictive model is about 80%, which is a good value in this kind of applications. Therefore, the neural network is ready to assess default risk of new customers. The classification accuracy is the ratio of customers correctly classified, the error rate is the ratio of customers misclassified, the sensitivity is the proportion of actual risk which are predicted risk and the specificity is the proportion of actual non-risk which are predicted non-risk. Churn prevention aims to predict which customers, when and why end their relationship with our company. This phenomenon can be very expensive, since the cost of retaining an existing customer is much lower than that of acquiring new one. By harnessing the power of big customer data sets, companies can develop predictive models that enable proactive intervention before it's too late. The following table contains the elements of the confusion matrix for this case study. The element (0,0) contains the true churns, the element (0,1) contains the false churns, the element (1,0) contains the false loyal, and the element (1,1) contains the true loyals. The predictive model has correctly detected 90% of the customers which will be lost. The telecom company then analyzes the causes of churn and take the required actions for the retention of that customers. An example is to reduce the price of evening calls. Examination of prior history, seasonality, market-moving events, etc. results in a realistic prediction sales, which is the cornerstone of a company's planning. In this regard, data mining could anticipate customer response and changing attitudes by looking at all types of factors. Sales forecasting can be applied to short-term, medium-term or long-term forecasting. -Calendar data: Season, hour, bank holidays, etc. -Weather data: Temperature, humidity, rainfall, etc. -Company data: Price of electricity, promotions or marketing campaigns. -Social data: Economic and political factors that a country is experimenting. -Demand data: Historical consumption of electricity. The results of this study are improved forecast accuracy, which means better information to decide what the best course of action is. Analysis of market surveys helps companies to address customer requirements, therefore increasing their profit and reducing the attrition rate. An example is to model wine quality. The inputs include physicochemical tests (e.g. 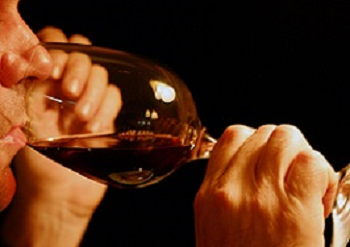 pH values) and the output is based on sensory data (median of at least 3 evaluations made by wine experts). Each expert graded the wine quality between 0 (very bad) and 10 (very excellent). The following listing illustrates the data set used for this application. Once the predictive model has been designed, the wine producer can exploit it to search for that attributes fitting consumer taste. Financial modeling is the task of building an abstract representation (a model) of a real world financial situation. This is a mathematical model designed to represent (a simplified version of) the performance of a financial asset or portfolio of a business, project, or any other investment. Financial modeling is a general term that means different things to different users; the reference usually relates either to accounting and corporate finance applications or to quantitative finance applications. Financial modeling has been gaining acceptance and rigor over the years. Typically, financial modeling is understood to mean an exercise in either asset pricing or corporate finance, of a quantitative nature. 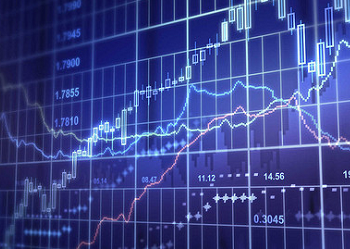 An example is to forecast the next day return of Istanbul stock exchange national 100 index with seven other international indices: Standard & Poor's 500 return index, Stock market return index of Germany, Stock market return index of UK, Stock market return index of Japan, Stock market return index of Brazil, MSCI European index and MSCI emerging markets index. The time series data set used here comprises five years of records. The next list contains the first 5 days of that series. In other words, financial modeling is about translating a set of hypotheses about the behavior of markets or agents into numerical predictions. These predictive models are used for supporting a firm in decision-making processes about investments or returns.